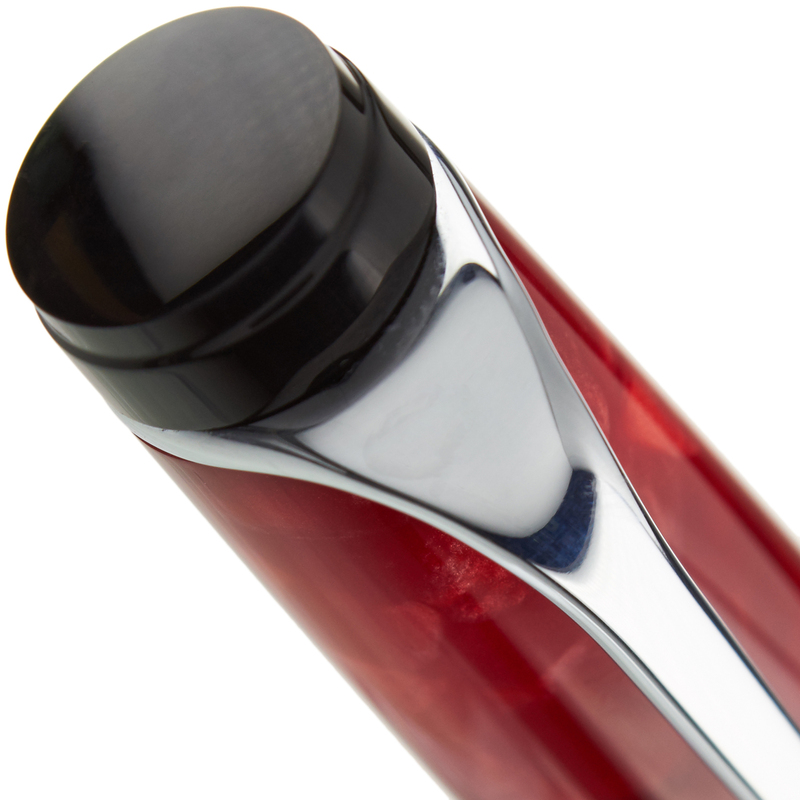 The Aurora Optima Red is the latest addition to this classic series of piston-fill fountain pens. The pearlescent surface, realized in Aurora's proprietary cellulose acetate derivative, shimmers in sunlight - no two pens will ever be exactly alike. 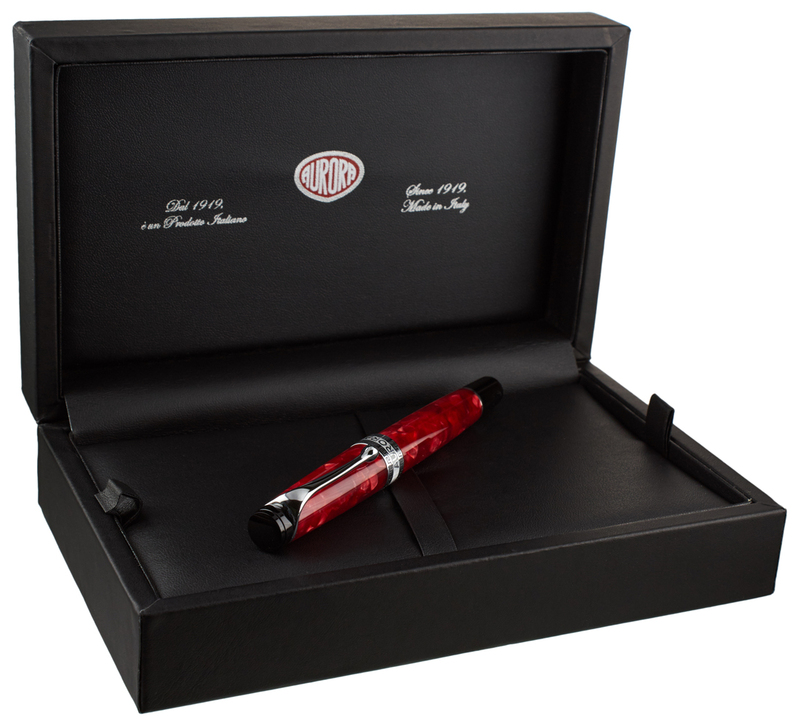 As with any pen you purchase from us, the Aurora Optima Red qualifies for our complimentary nib set-up and optimization services. 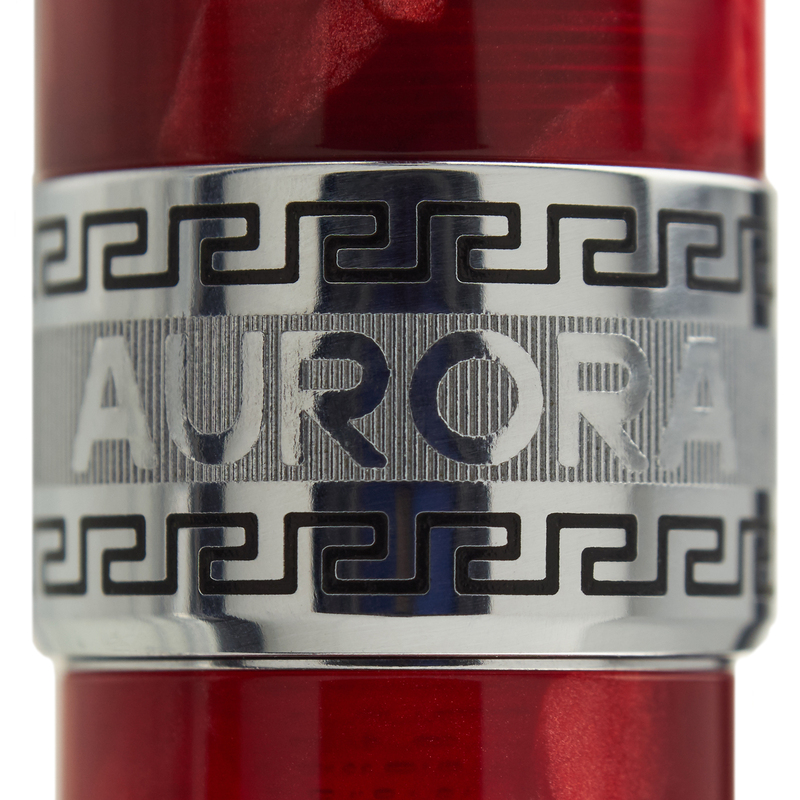 Aurora is unique among the major European pen companies in manufacturing their own nibs, which can also serve as an excellent starting point for many of our customizations. Lustrous pearl red accented by rhodium trim gives the Aurora Optima Red its own unique appearance. Classic in design but modern in manufacture, this is both a terrific pen to look at it as well as an excellent everyday writer. 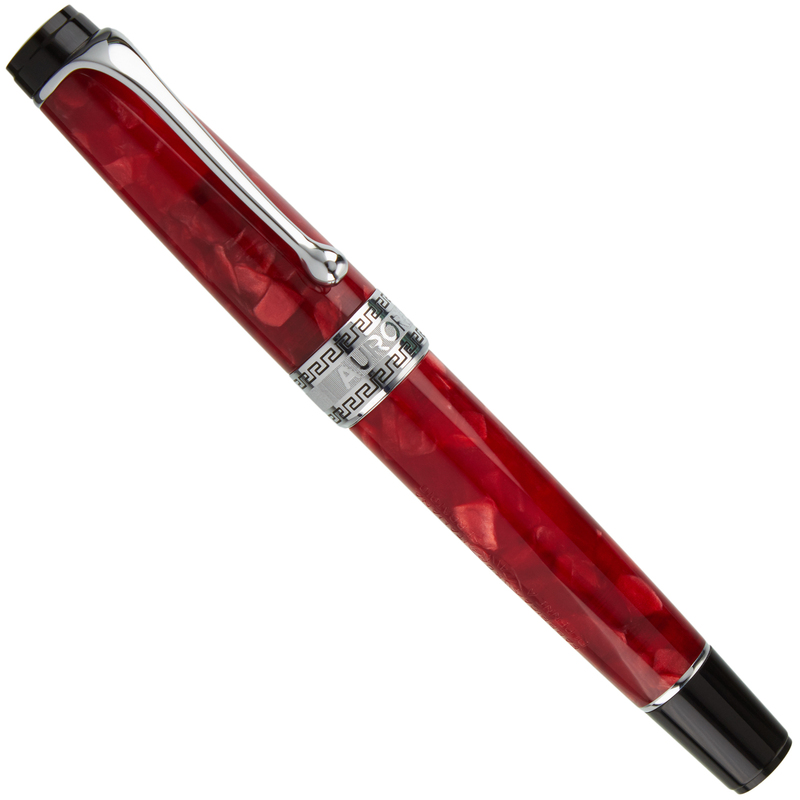 As with all Aurora pens, the Optima Red has been manufactured entirely in the company factory in Turin, Italy, where pen production has been continual for over a hundred years. 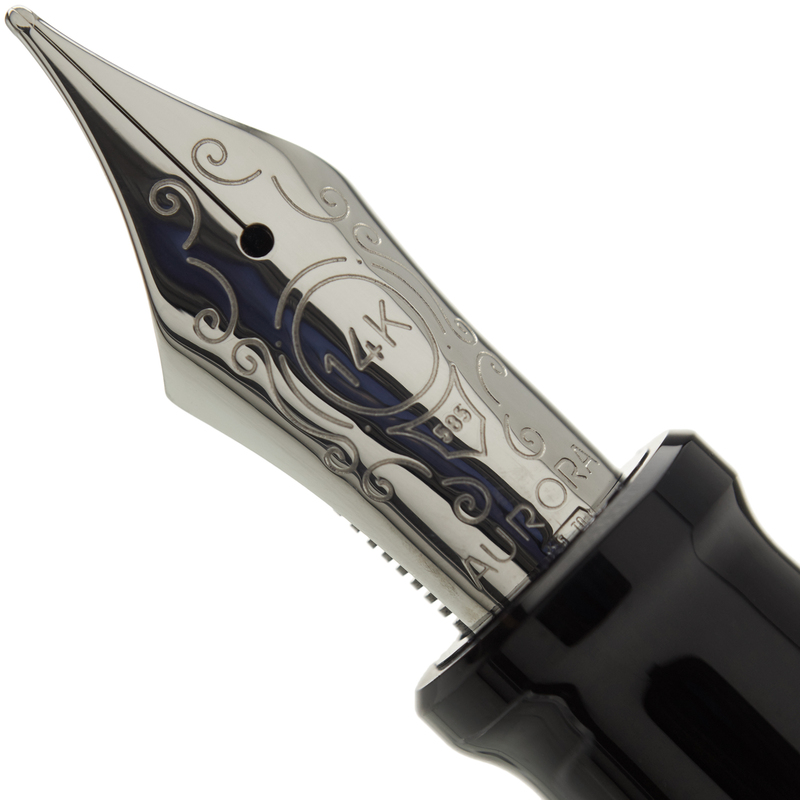 When you purchase an Aurora, you're not just buying an exceptional writing instrument - you're also getting a piece of fountain pen history.